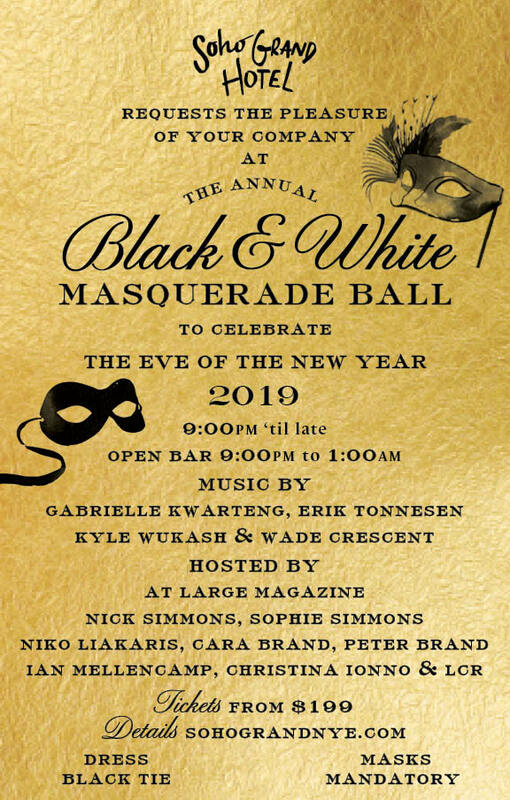 Soho Grand’s 11th Annual Black & White Masquerade Ball is an ode to Truman Capote’s infamous Grand Masked Ball, hosted in New York 1966. The soiree was thrown in honor of Kay Graham and still is recognized as one of the most brilliantly eclectic parties of the century, attended by ingenious creatives of the art, design, music and fashion worlds. In honor of the spectacular affair and to farewell 2018 in grandeur style, Soho Grand invites you to experience a New Year’s Eve to remember. 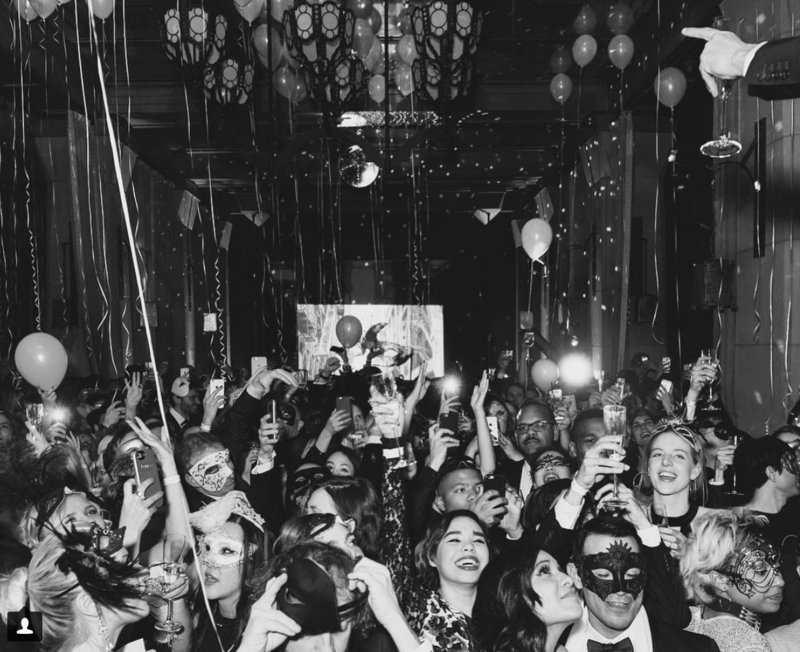 The hotel’s entire lobby floor transforms into a black and white gala, queued with champagne flowing, and masquerades adorning the dance floor. Come 12am, Nick Simmons and Wade Crescent of Blind Dragon, LA will lead an open Karaoke floor until the early hours of 2019. Music by Erik Tonnesen, Gabrielle Kwarteng, Wade Crescent and Kyle Wukash. Hosted by Sophie Simmons, Nick Simmons, Cara Brand, Peter Brand, Ian Mellencamp, Christina Ionno, Niko Liakaris and Lauren Conolan Richards. A premium bar is offered from 9pm to 1am for all guests, and tiers of hors d'oeuvres. Featuring cocktails and bottles of choice for our seated guests. Attire is black tie, masks are mandatory and dancing is obligatory.